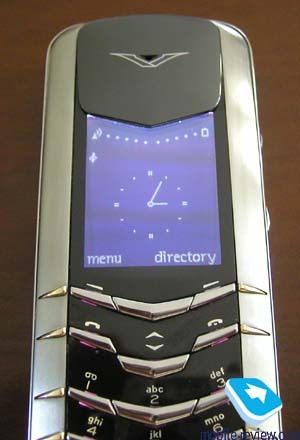 Many words were written about the exclusive phones, which were made from the series models. But till now there was no article about very expensive phones that are serially produced. 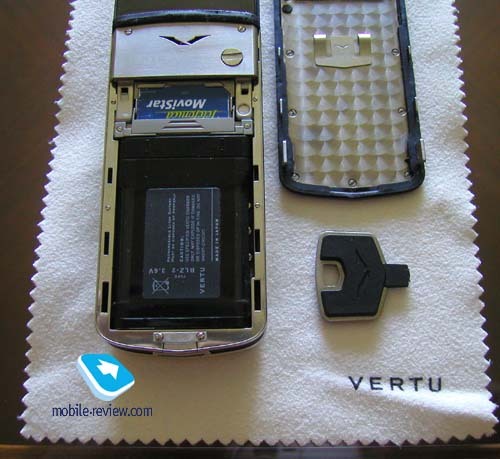 In particularly, we can relate to them phones from Vertu, a division of Nokia. There stand out by the high price and high-tech quality (according to the company). Such phones are purchased by businessmen, super-stars and just rich people. So, it is almost impossible to find a real practical review of these phones, it's not a massive production. Thanks to one of our readers, who by obvious reasons wished to be not named, we'll try to fill up the gap. Below is his little review of the phone from Vertu. 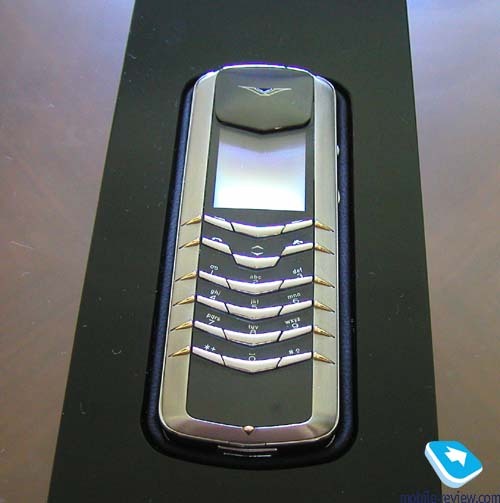 I chose Vertu MMII Stainless, which cost 6000 Euro (a standard kit). The standard kit contained a charger, portable handsfree, CD and data cable. You can also purchase a keypad you like, which will be charged extra. I liked one with golden keys, which cost 1000 Euro. I also ordered a set of additional accessories (total cost 600 Euro), but I haven't received them yet. At the beginning I'd like to buy a golden phone, but it is heavier than mine (the weight of my phone is 173g). Top-model from this line is made of platinum and it is the heaviest, it weighs 203g. The second reason, why I choose this model, was the design. I preferred a combination of stain and gold keys to totally golden phone. In the whole, the phone is very heavy, if to compare it to other models, I remember only an old Sony CMD Z1. You need to use a special screwdriver, included in the kit, to insert a SIM-card. But it's more convenient to use a coin of denomination 1 Euro. It makes no sense to describe a menu as it typical to phones from Nokia but it is simpler. There are no animated icons and all the pictures are static. It's very disappointing that the shortcut number navigation is absent here and you should list all the menu items to move to the desired one. Sometimes it's irritates greatly. You can choose English, German, French or Italian as a menu language. The absence of IrDA is also very uncomfortable. 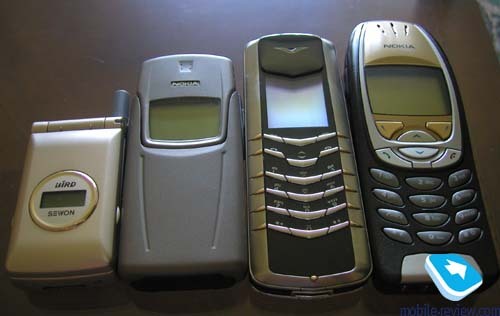 All the contacts from the old phone (Nokia 8910) were copied only via SMS messages. There also no such features as voice dial, dictaphone or GPRS here. It's interesting that you can move in the Organizer (by days or by weeks) only with a help of arrows, alphanumerical keys -2,4,6,8 can't be used. To record a new event to the next month you can just type a date and that's all. For example, if we type 8 or 22 (in October), we'll input notes for 8 or 22 November respectively. It's very convenient. There types of events are supported by the organizer: reminder, call and anniversary - the set, which is typical to any phone from Nokia. The organizer works very slowly, the impression is that the phone has a processor from the old model. You can't associate an icon to each caller group, only a ringing tone, the variation of which is not big (up to 10). A key CONCIERGE substitutes lack of many functions. The phone dials number someone from England when you press it. You can also choose an assistant (product, travel and lifestyle support). This service works 24 hours every day and it is free of charge during the first year after the purchasing. Some words about my personal impressions. The loudspeaker quality is good, what is typical for Nokia. But the volume of handsfree mode is not sufficient. I have to use this feature very often, during my trips to USA in particularly. I was looking for the tri-band phone with such possibility for a long time, the first phone was Ericsson R520, but the handsfree mode didn't always work correctly. Then I changed it to Motorola and bought a plug-in handsfree device, there were no problems at all and the accessory is compatible to every modern model. The ring volume is average, but mellow timbre of melodies gives more chance to hear them. I was succeeding to do it in one of the noisy restaurants in Madrid. Here you can listen to the ringing tones by yourself (mp3, 1.75Mb). 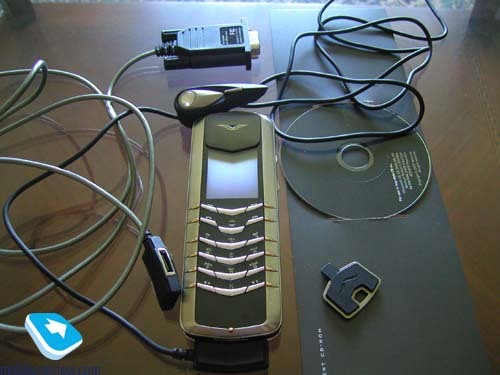 The phone has a sliding antenna, the connection quality is similar to Nokia 6310 (Movistar). Li-Ion battery of 950 mAh capacity can provide rather long working time, but it is less then, for example of Nokia 6310. I use the phone very active and as a result, I have to re-charge the phone every 2 days. The phone works 2 hours 40 minutes in the handsfree mode. It's interesting that the battery indicator can have one level in the handsfree mode but you can continue to talk, in ten minutes the indicator shows 75% of battery charge and further it will work rather long. The peculiarity of the handsfree realization is that the backlighting doesn't turn off but it automatically does it while the usual talk or while talk with a help of portable handsfree. There are no any light settings here. It's not clear whether it is a software error or a designers decision. P.S. 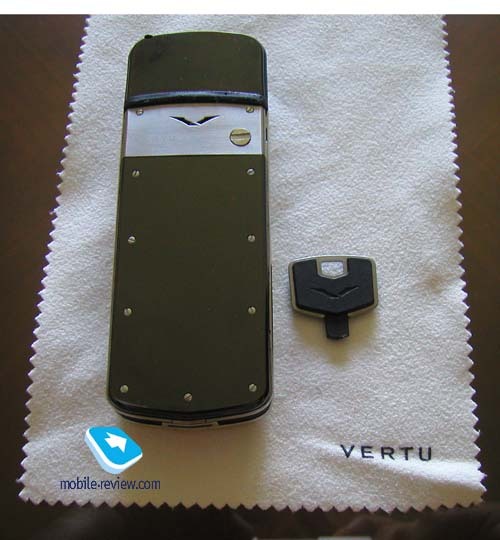 As you see exclusive from Vertu doesn't mean that the phone has advanced features, it is just a magnificent body and expensive materials, nothing else.